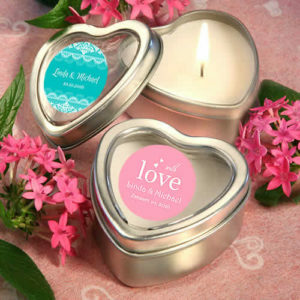 Personalized candle wedding favors under $1 are a classic party favor for weddings, showers and birthday parties. 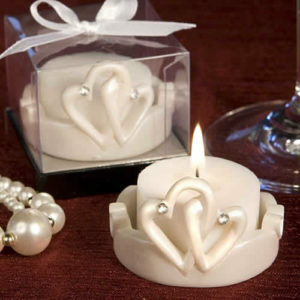 What better way to spread the romance of your wedding day, than with candle favors your guests can light on their own romantic evenings? 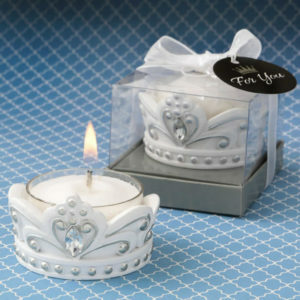 No matter what your wedding theme is, we have the perfect candle for your event. 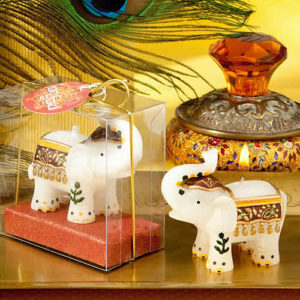 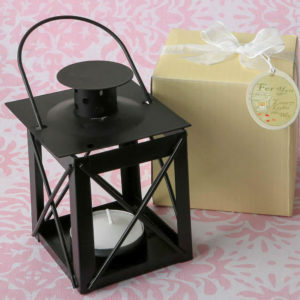 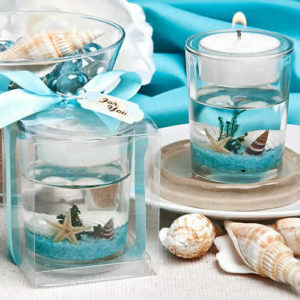 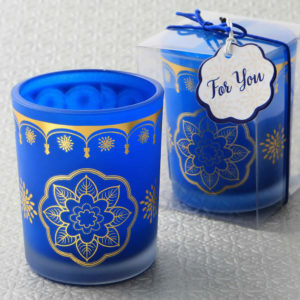 Here you will find traditional candle favors wedding as well as many fun twists to the original. 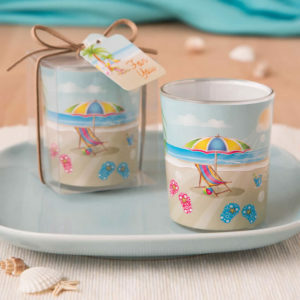 We have personalized wedding favors that are perfect for beach or summer weddings. 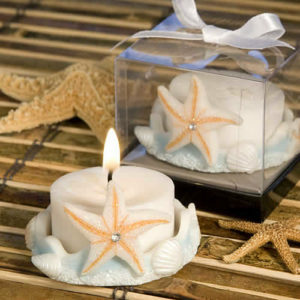 Our wedding candles can double as table decorations and are great for adding light, warmth, and color to your event. 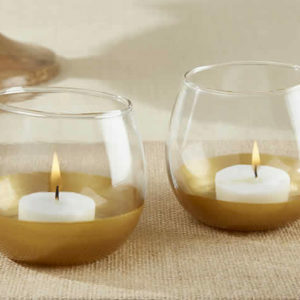 Candles and votives are one of the most versatile pieces at a wedding. 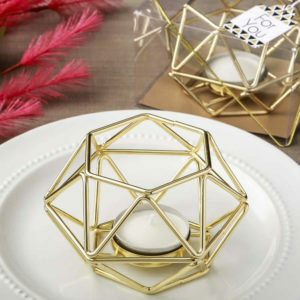 When lit, they can be part of the centerpiece or add as decor to the food table. 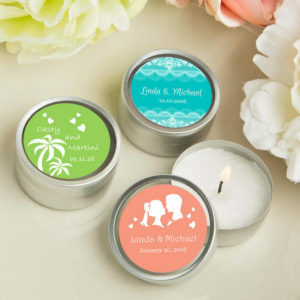 Our personalized candle wedding favors are offered at a great price! 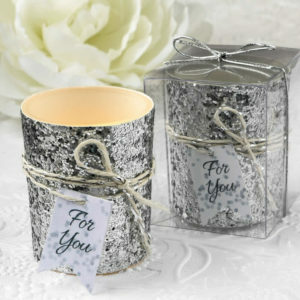 Give our stylish and candle wedding favors at your next event. 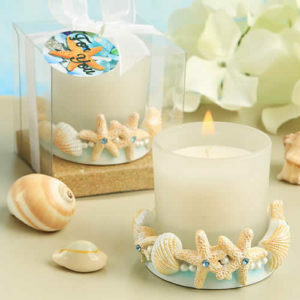 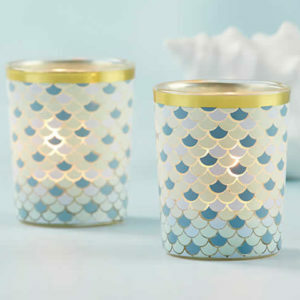 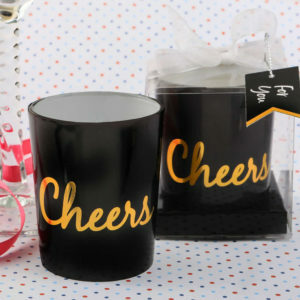 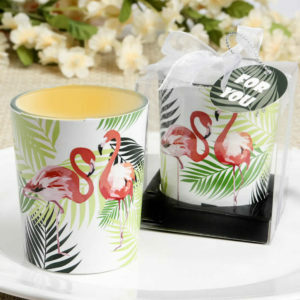 These wedding favor candles cheap are sure to be a hit as your summer time event, beach wedding favors, cruise wedding favors, graduation party favors, birthday party favors or outdoor party. 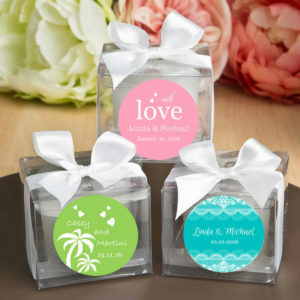 They can be given out to family and friends as wedding favors, too, symbolizing the bride and groom’s new life together. 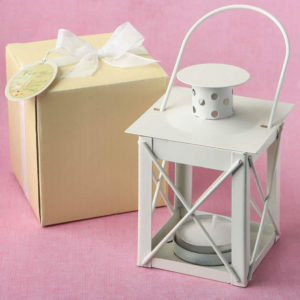 With so many purposes, it’s almost impossible not to have candles at a wedding; that’s why we offer a variety of different wedding candles look to make sure they fit into any setting or theme. 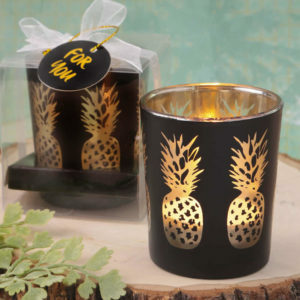 Browse our candle wedding favors and candle wedding decorations to find the personalized candles that fit your style and wedding theme. 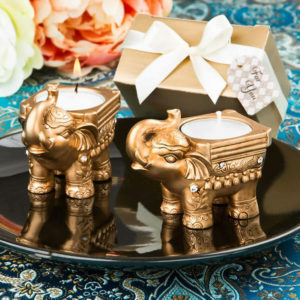 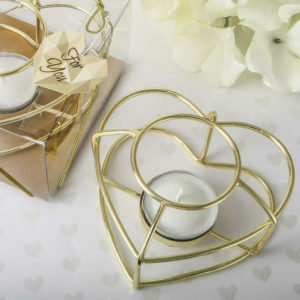 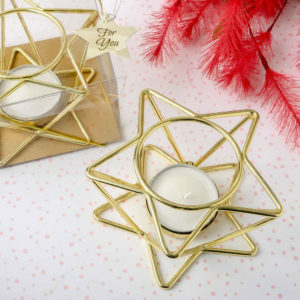 Whether you chose a personalized wedding votive favor or chic-designed Candle Party Favors, each is sure to give off just the right amount of ambiance you need. 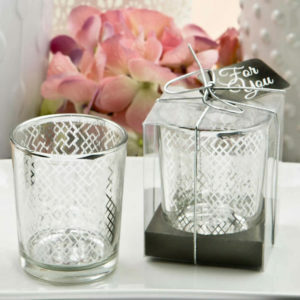 Contact us if you need help with ordering our wedding favors.